Mr. Matt Nicholas' Exeter-Milligan physical science class is studying how crystals form from solutions. To help understand this process, the class will experiment with a sugar solution. Over the next week the sugar molecules will come together on the string to form a crystal. 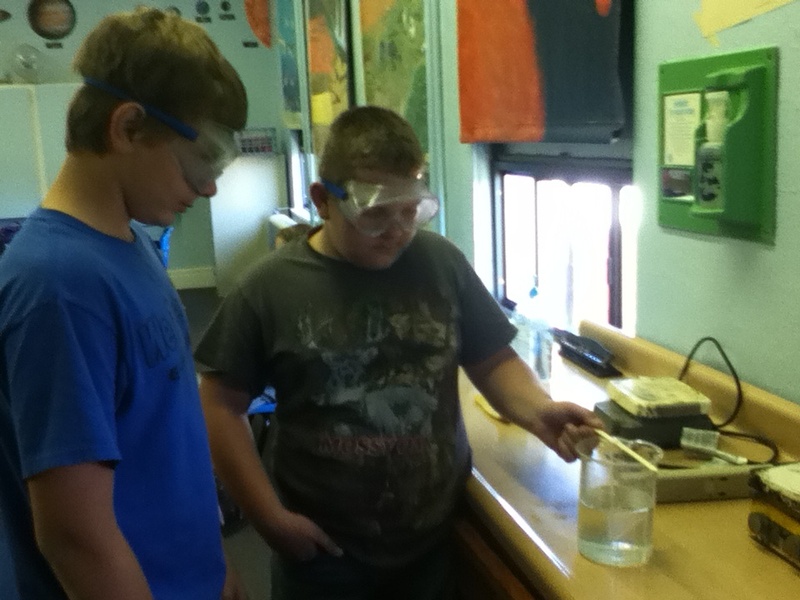 Pictured are 8th grade students Spencer Papik and Kirby Soukup tending to their sugar solution.